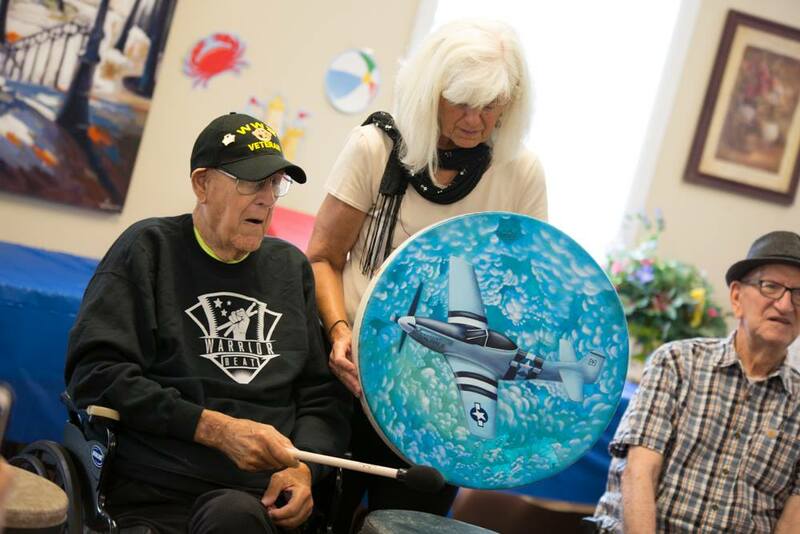 Warrior Beat, a drum therapy program for military veterans, recently honored World War II pilot Robert Withee, of Jackson Township, with a special gift: A drum emblazoned with the image of the P-51 Mustang plane he flew in the Pacific Theater. JACKSON TWP. 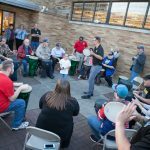 Robert Withee eyed the drum from behind spectacles and from under the brim of a cap that designated him as a World War II veteran. Clutching a single drumstick, the 96-year-old former war pilot softly pounded the head in a steady rhythm, giving voice to the instrument. 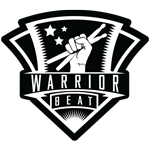 Around him were other military veterans and residents of Heritage Villas, each group member slapping or hammering an assortment of drums under the impassioned direction of Trevor Meyer, co-founder and CEO of the Stark County-based Warrior Beat. 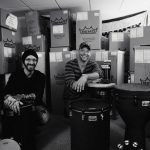 A giant wave of percussion engulfed the room.